The Arc of the Farmington Valley, Inc., more commonly known as Favarh, was founded in 1958 by eight local families who all wanted a better life for their children with intellectual disabilities. A small school was created in the basement of a local church because children with intellectual disabilities were not accepted into public schools at that time. 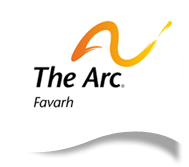 Today, Favarh (pronounced "FAY-var") is a local chapter of the Arc, the world's largest community based organization for people with intellectual, physical and developmental disabilities. Favarh supports more than 350 children, young adults, adults, seniors and families throughout the Greater Farmington Valley area and beyond. We have more than 200 employees making us the largest employer in Canton. 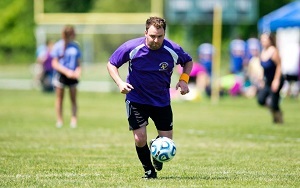 Our more than 150 active volunteers work in our Thrift Shop, participate in our Unified Sports Teams, participate in our creative arts and unified activities, participate in fund raising efforts and help with landscaping, household repairs and office work. 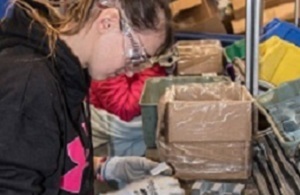 Many of our employees freely choose to volunteer in one or more of these areas demonstrating the level of commitment and dedication to the mission and purpose of the agency. Some of our employees even started out as volunteers and some of our ex-employees continue to volunteer after they move on. Our mission is To Help Each Person Achieve His or Her Personal Best as we encourage and support a greater level of independence and personal satisfaction for each person that we support.